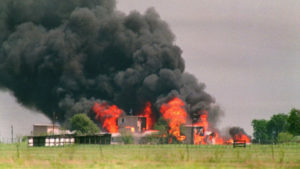 The Waco siege was a 51 day standoff of a compound belonging to the group Branch Davidians by American federal and Texas state law enforcement and US military between February 28 and April 19, 1993. 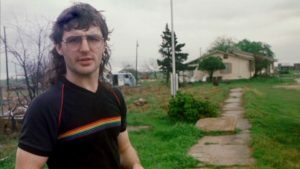 The Branch Davidians, a sect that separated in 1955 from the Seventh-day Adventist Church, was led by David Koresh and lived at Mount Carmel Center ranch in the community of Axtell, Texas, 13 miles east-northeast of Waco. The group was suspected of weapons violations, causing a search and arrest warrant to be obtained by the Bureau of Alcohol, Tobacco, Firearms and Explosives . The incident began when the ATF attempted to raid the ranch. An intense gun battle erupted, resulting in the deaths of four government agents and six Branch Davidians. Upon the ATF’s failure to raid the compound, a siege was initiated by the Federal Bureau of Investigation (FBI), the standoff lasting 51 days. 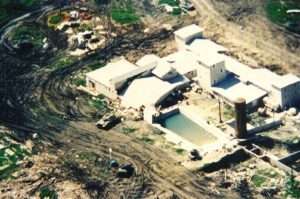 Eventually, the FBI launched an assault and initiated a tear gas attack in an attempt to force the Branch Davidians out of the ranch. During the attack, a fire engulfed Mount Carmel Center. In total, 76 people died, including (it is claimed) David Koresh. Much dispute remains as to the actual events of the siege. A particular controversy ensued over the origin of the fire; an internal Justice Department investigation concluded in 2000 that sect members themselves had started the fire. The events near Waco, and the siege at Ruby Ridge less than twelve months earlier, were both cited as the primary motivations behind the Oklahoma City bombing that took place exactly two years later. Currently, the grounds are eerily silent. While many places, long abandoned, seem to still have life of some sort in them, Mount Carmel seems utterly devoid of life. Oddly, there is a small church which now stands where the original compound stood and several trailer homes of current Branch members are less than a quarter of a mile down the road. A large memorial lists the names of the Branch Davidians who perished in the siege. Most of the bodies found in the underground school bus, pictured below, had bullet wounds to the head or slashed throats. The swimming pool remains. It is not repurposed as a water filtration system. Several slabs of the original compound are also on the property, along with clear indentions in the grass that show the outline of the large compound. The current church has leaflets explaining the siege and disavow that they believe Koresh’s claims that he was Jesus Christ. The center is open for anyone to visit during the day. I’ve been there myself!! It is a very eerie (even unsettling) place knowing the torment that so many innocent people had to go through. Thank you for sharing these!